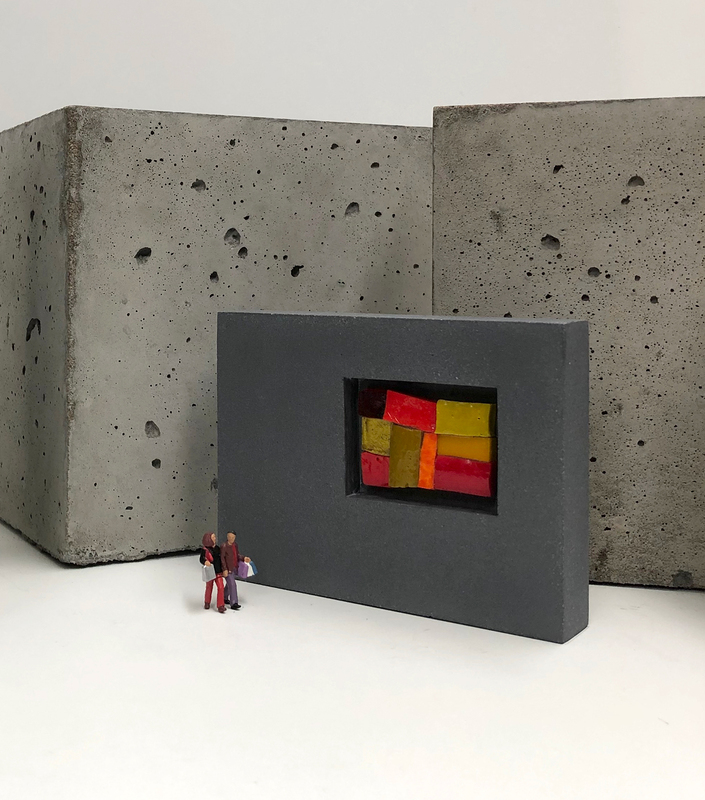 I created this series of miniature monumental artworks to help raise funds to support creating new work for my show REVEAL at Collect Open 2019. 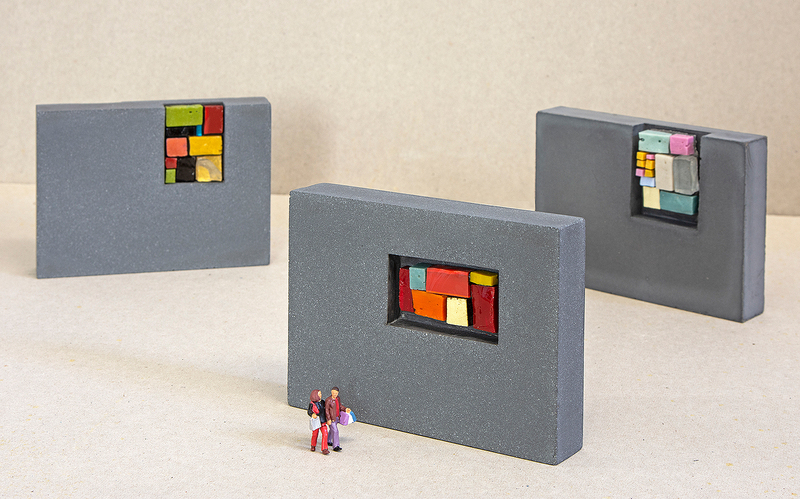 The Minumentals comprise one-off cast concrete multiples, each niche contains an individually made mosaic using Venetian gold leaf and coloured glass smalti. The works measure 9x12x12cm and are on sale for £150 up to the start of Collect following which they will cost £250. (Special delivery postage in the UK +£10). More pieces are available, please contact me direct. Three pieces are currently on show in the small works section of ALIGHT the Visual Arts Scotland annual exhibition at the Royal Scottish Academy. Collect Open provides a platform for 15 individual artists to show ambitious and conceptual craft-led installations within Collect. It is an honour to be the sole representative of Scotland within this section.